Pharos Arts Foundation with Florian Uhlig and 2 others. 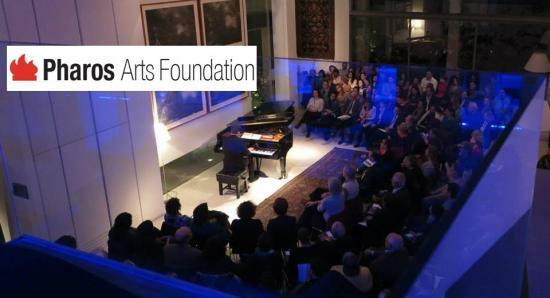 The Pharos Arts Foundation presents a concert with violinist Wolfgang Schröder, cellist Valentin Radutiu, and pianist Florian Uhlig. The three artists – all born in Germany but living in different European countries – will meet in concert for the first time in Cyprus to deliver a programme of piano trios by Beethoven, Brahms and Dvořák. At the early age of 17, Wolfgang Schröder won the first prize at the German state competition Jugend musiziert (Youth makes Music) and subsequently a scholarship at the International Menuhin Music Academy (IMMA). He has performed together with Yehudi Menuhin and Alberto Lysy, both as a soloist and a chamber musician, all over the world, including the Barbican Center in London and Teatro Colon in Buenos Aires. After graduating from IMMA, he continued his studies at the Mozarteum University of Music in Salzburg. Schröder has appeared as a soloist with numerous orchestras, including, the Bavarian Chamber Philharmonic, Munich Philharmonic, Stuttgart Philharmonic Orchestra, Czech Symphony Orchestra, Basel Chamber Orchestra, Salzburg Chamber Philharmonic and Camerata Salzburg, Nuremberg Symphony, Cairo Symphony Orchestra. He has collaborated with conductors like Vladimir Ashkenazy, Andrey Boreko, Daniel Raiskin, Simon Gaudenz, to name but a few. As a soloist and chamber musician Wolfgang Schröder has appeared in venues such as the Philharmonie in Berlin, the Concertgebouw Amsterdam, the Vienna Konzerthaus, Lincoln Center in New York, the Frick Collection Museum in New York, the Wigmore Hall and the Barbican Hall in London, Teatro Colon in Buenos Aires, and the Athens Megaron. Praised for his “glowing, distinctive and exciting masculine tone” and described as “one of the great cello talents of our time” (Süddeutsche Zeitung, 2013), cellist Valentin Radutiu was born in Munich in 1986. He studied in Salzburg, Vienna and Berlin with Clemens Hagen, Heinrich Schiff and David Geringas. Valentin Radutiu is a prize winner in many competitions. He was distinguished several times at the Jugend musiziert (Youth makes Music) competition and the Dotzauer Competition in Dresden, and he won the First Prize at the International Karl Davidov Competition in Riga. In 2011, he was honoured with the Music Prize of German Business, one of the most important prizes for up-and-coming young musicians in Germany. In 2012, Valentin Radutiu won the Second Prize at the International Enescu Competition in Bucharest. Valentin Radutiu has appeared as a soloist with the German Symphony Orchestra Berlin, the German Radio Philharmonic Orchestra Saarbrücken Kaiserslautern, the MDR Leipzig Radio Symphony Orchestra and the Stuttgart Radio Symphony Orchestra SWR, the Munich Chamber Orchestra, Camerata Salzburg, the Enescu Philharmonic Orchestra and the Radio Symphony Orchestra in Bucharest, Hong Kong Sinfonietta, Prague Philharmonia, and the Stuttgart Chamber Orchestra. He has appeared in such venues as the Philharmonie and the Konzerthaus in Berlin, Munich's Prinzregententheater and Philharmonie, the Philharmonic Hall in Riga, Konserthuset Stockholm, Bucharest Atheneum, Hong Kong City Hall, as well as numerous Festivals, including the Schleswig-Holstein Musik Festival, Heidelberger Frühling, Cellobiennale Amsterdam, and Honk Kong Arts Festival. “Florian Uhlig plays in masterly fashion. His interpretations bear comparison with the very best. This astonishingly original CD is a real event.” (Süddeutsche Zeitung). That was the assessment published by the doyen of music critics, Joachim Kaiser, of Florian Uhlig’s recording of Beethoven’s piano variations released on the Hänssler CLASSIC label in 2009. Since then, Uhlig has recorded some 15 other releases on the same label, all of them marked with high critical acclaim. Florian was awarded the German Record Critics’ Prize for his recording of the complete works for piano and orchestra of Robert Schumann and Dmitri Shostakovich, his recording of piano concertos by Ravel, Poulenc, Françaix, Debussy and Penderecki, and his recording of Ravel’s and Schumann’s complete works for solo piano. Fifteen CDs are scheduled for the Schumann cycle, nine of which have already been released. Florian Uhlig was born in Düsseldorf and gave his first piano recital at the age of twelve. He studied in London at the Royal College of Music and the Royal Academy of Music, graduating with a Concert Diploma. He was also influenced, by working with Peter Feuchtwanger and by his research towards a PhD thesis at the University of London, on the role of the performer in the context of musical genre. Florian Uhlig made his orchestral debut at the Barbican in London in 1997. Since then he has appeared at leading concert halls across the world, performing with orchestras like the BBC Symphony Orchestra, the Beijing Symphony Orchestra, the Deutsche Radio Philharmonie, the Dresden Philharmonic, the Hong Kong Sinfonietta, the Polish Radio Symphony Orchestra, the Simón Bolívar Youth Orchestra of Venezuela, the National Symphony Orchestra of Taiwan, the Bavarian Radio Chamber Orchestra, the Stuttgart Chamber Orchestra and the Vienna Chamber Orchestra. He has worked with conductors such as Krzysztof Penderecki, Josep Caballé, Claus Peter Flor, Eivind Gullberg Jensen, Kristjan Järvi, Michael Sanderling and Gerard Schwarz.